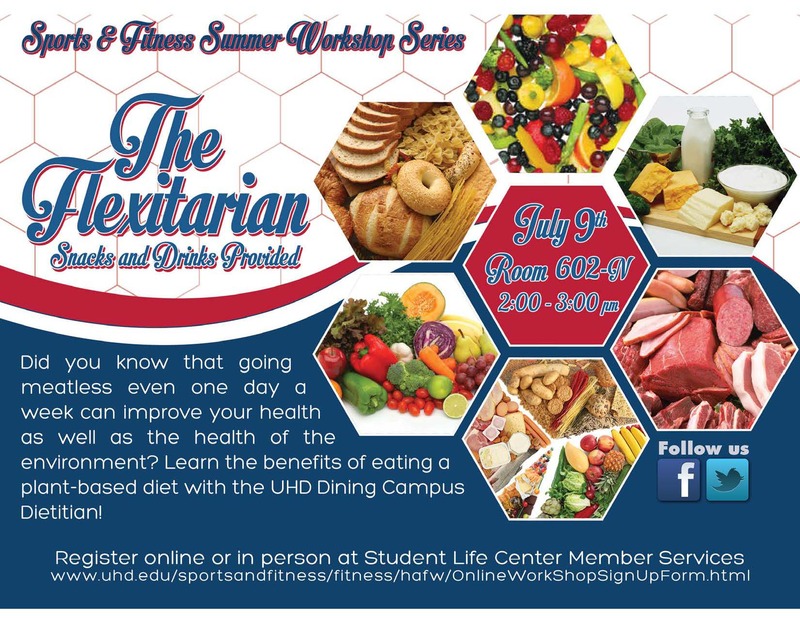 Sports and Fitness will host another awesome healthy workshop from 2-3 p.m. July 9 in 602-N called "The Flexitarian." Did you know that going even one day without meat in your diet can improve your health, as well as the environment? Learn about plant-based diets from the UHD dietician during this workshop. Snacks and drinks will be provided.